The way he tells it, Claude Blais has never had trouble finding a job in a kitchen. 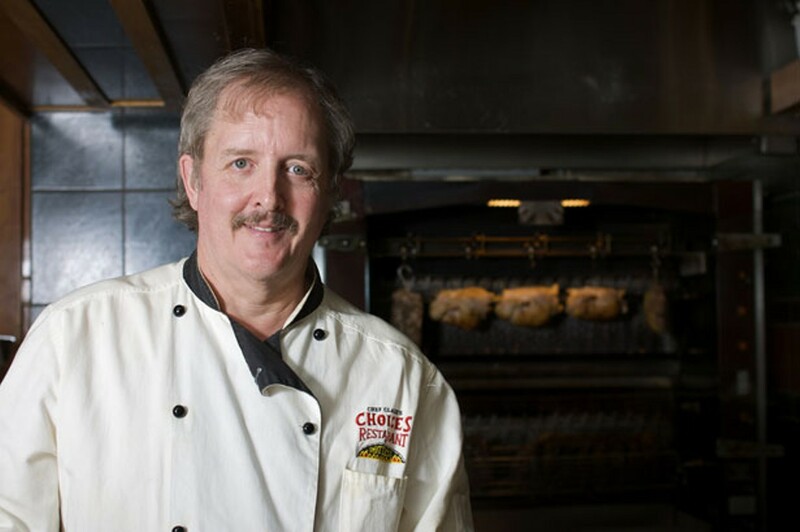 Since opening Choices Restaurant in 1986, he hasn't had trouble finding customers, either. For all the seasonal fluctuations of a resort town, and the shifting demographics of downhill skiing, Choices has been a culinary rock in Killington's turbid economic waters. Yes, the throngs of weekenders keep Blais' place humming during the winter, but it's the locals that keep him in business all year long, and that's the way he likes it. Blais, 55, has a head of gray hair, slightly droopy eyes and a gentle, almost phlegmatic demeanor as he chops vegetables on a sunny Thursday afternoon. He's from Derby Line — one of the few people, he jokes, who had to move south to get to Killington. 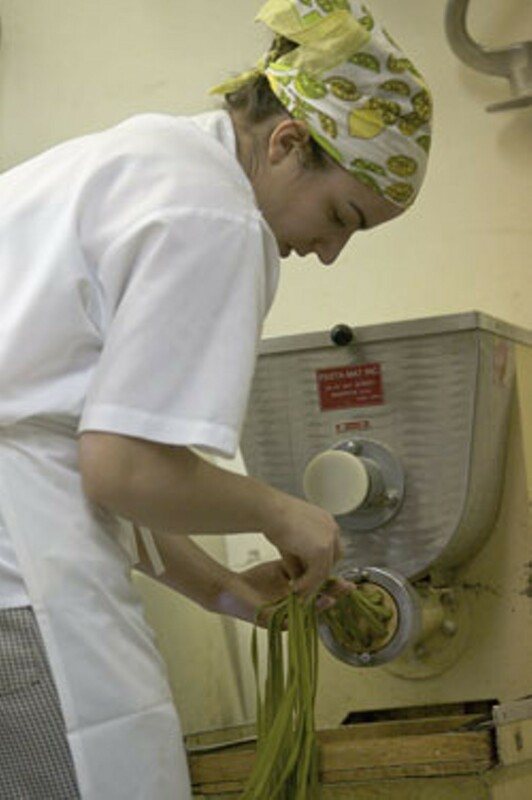 Blais studied at the University of Vermont but transferred after two years to the New York campus of the Culinary Institute of America (CIA), from which he graduated in 1975. The CIA served him well. "It was a quick stepping stone into the industry," he says. With the ink still drying on his Associate's degree in occupational sciences, Blais and a few friends set out for California, where, he recalls, "I found out right away that I was the first one that was employable." He cooked at Hyatt Regency hotels, spending a few years in San Diego and six more in San Francisco, where he decided he preferred working at independent restaurants. Being on the coast, Blais racked up plenty of experience at seafood joints. To this day, he most enjoys preparing fish, "only because it requires a little more of a delicate touch to do it right," he says. Though he was thriving in San Francisco, Blais must have left his heart in Vermont, because he hightailed it back whenever he had time off. One fall in the early 1980s, he found himself in his home state and decided to stay the year. So, starting at Jay Peak and working his way down Route 100, he submitted applications at every ski resort until he got to Killington. Though he got plenty of job offers, Blais liked Killington for its mix of development and opportunity: Well-known, the resort still had potential for growth. He took a chef position at the now-defunct Alpine Inn and fell in love with the place. "After my first year here," he says, "I thought, 'Why would you want to go back to California?'" After a couple of years at the Alpine Inn, Blais heard about the Glazebrook condominium development being built by longtime Killington resident Horace "Red" Glaze. The first phase had already been constructed when Blais met the developer at an open house. "I saw his plans for all these units, and when I saw that there were 40 units, I said, 'Gosh, you should have a restaurant to serve all these people,'" Blais recalls. Glaze, 77, remembers agreeing that an eatery would go nicely with the ski shop and rental office in the commercial portion of the development. "Claude said he wanted a restaurant," he relates, "and I said, 'Tell me what you want, and I'll see if I can do it.'" Glaze hired the architect, while Blais designed his restaurant and kitchen, even putting some sweat equity into the venture. "At that time, I didn't have a big crew," Glaze says, "so he came right along with us to build the place." The time was right for a restaurant, because the second half of the go-go '80s was the busiest stretch in Killington's 50-year history. In 1987, 1.6 million skiers visited "the Beast of the East," which helped solidify the access road's infamous reputation. "People used to say, 'Go to Killington and wait on the road,'" Glaze recalls with a chuckle. That traffic was good for Blais, however, because it fueled his 1986 opening of two separate restaurants: Chef Claude's, a fine-dining operation, and Choices, with a more casual atmosphere and menu. That growth spurt ended in the mid-1990s, when skier visits dropped by 5 to 25 percent, and the customers who still came tended to have more modest tastes. "People weren't so much into the fine dining anymore," Blais says; "they wanted the more casual stuff." So in 1998, Blais merged Chef Claude's with Choices, turned the fine-dining room into a big U-shaped bar with tall tables, and installed a rôtisserie oven where it was most likely to induce the Pavlov effect — right in front of the waiting area. Now, the rôtisserie anchors an American cuisine menu that features more than 60 items. "We serve everything from rack of lamb to burgers; escargots to nachos," Blais states proudly. He's quick to add that he can offer this all-over-the-map menu because "I surround myself with excellent help." With the assistance of a full-time baker and sous-chefs who could be full-fledged chefs at other restaurants, Choices makes its own desserts, breads and salad dressings, and prepares popular soups such as paella with chicken, mussels and chorizo. The regular menu boasts more than 13 seafood options, which Blais sources from three different suppliers: an outfit that specializes in flown-in fare, and two companies that bring fresh catch from the Maine and Boston markets. Blais traveled to Paris to learn how to use the rôtisserie oven, in which he bakes chicken, lamb and stuffed pork, with prime rib on the weekends. On any given winter weekend evening, diners can expect a 45- to 60-minute wait at Choices, because the restaurant doesn't take reservations. But it's the same story up and down the access road, and Blais says he gives his customers at least an hour and a half to finish their meals. The Sunday brunch, featuring big, fluffy omelettes and delicately prepared, poached Eggs Florentine, is often packed with people filling up in preparation for an afternoon on the slopes. But it's another story during the week and in the off-season. A loyal band of locals comes to Choices for the personalized service: A few of these regulars even design their own dinners. "If I have a customer who eats here all the time, I'll ask them, 'What ingredients would you really like in this?'" Blais says. New servers have to be initiated: Sometimes, Blais recounts, a newbie goes through the rigmarole of writing down all the particulars of a diner's customized order, only to have the chef recognize the specs and the customer instantly. Then Blais will tell the befuddled staffer, "You could have just written 'Shrimp Nancy.'" Developer Glaze, who served as Killington town moderator for 29 years, still frequents the restaurant he helped launch. Though he's stopped receiving lease payments from Blais — who purchased the building a number of years ago — he still enjoys the chef's food. "I like his Strata Italiana, myself," Glaze says. "It's a white fish with Italian sauce. It's got some kind of vegetable and a baked potato; it works good." That kind of homespun, understated praise from locals keeps Blais in business. But context, he says, is everything: "If I had an ocean view, people would think it's the best seafood they've ever had."